We are a team-oriented, ambitious and enthusiastic staffing firm. We have a passion for people- our clients and employees. We focus on building alliances with each of you in order to meet your individual goals and expectations. We believe in the principle that quality customer care is the foundation of success. What does this mean? It means that you can have the confidence that your decision to partner with Arvon will create a caring and long lasting bond. Arvon Staffing is always seeking outstanding people to join our Licensed Practical Nurse team. Join the Arvon Staffing Talent Network today to stay up-to-date on our current openings for Licensed Practical Nurse jobs as they become available! 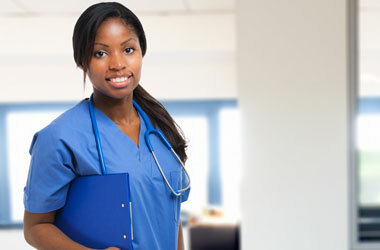 We currently do not have any openings for Licensed Practical Nurse Jobs at Arvon Staffing. If you join our Talent Network, we will email you as soon as similar jobs become available.